Apache Technologies Pvt. 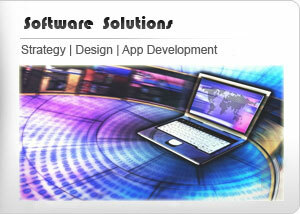 Ltd. offers a wide range of software & hardware solutions and IT services. We maintain a resolute commitment to understand technology evolution and its relevance to various business applications. Let us help to optimize your business processes for maximum efficiency and galvanize your software requirements to be both resilient and robust. We cater to market needs driven by global trends, including digital consumers, emerging economies, new commerce and healthcare. We are associated with leading firms, including several IT and Technology majors. We offer complete Software Development, Solutions & Services, Mobile Application Development, Embedded Software & Hardware, SAP Consultancy & Business Solutions, Web Applications Development, Website Designing & Maintenance, E-Commerce Solutions, Multimedia Solutions and Trainings. We leverage comprehensive business and technology solutions across diverse domain. We address real world challenges that lead to successful transformation. Strategic thinking, competitive pricing, timely results, and efficient work force - experience a world of a difference with Apache technologies. The expertise that we posses embraces a wide range of custom programming skills involving the latest and most effective development technologies, such as .NET (ASP.NET, C#, VB.NET), XML, PHP, VC++, C++, MFC and many more. We have been working on various domains like SDR, Surveillance System, Multimedia, Machine vision, Image analysis and Medical Imaging Software applications. We ensure to meet client's expectation at every step in the process: from application feasibility, to prototyping, through to development and ultimately deployment. Apache technologies develops custom embedded software for a wide range of microprocessors, systems-on-chip (SoC), digital signal processors (DSP) and microcontrollers (MCU). This includes developing Custom Built Hardware, Board Support Packages and Device Drivers, porting third party middleware and protocols, and complete integration with the hardware and RTOS. We also develop C/C++ application specific frameworks, subsystems, Graphical User Interface & embedded software design for Linux-based portable and mobile devices. We provide custom web design services and solutions to companies across the globe. As an emerging web design company, we focus on blending innovative ideas and tailored web page design to achieve the most efficient results at the affordable rates. We also help in translating your existing website into a "best in class" website design. We also offer high-quality website templates. Our services offer tremendous personal attention to each of our clients, regardless the size of the project. We’re ready to bring our high-quality talent and experience to your mobile project. When it comes to mobile application development, we are undoubtedly one of the best. Our developers have complete understanding of the mobile SDK and Framework APIs as well as authoritative knowledge of programming languages. From small, simple utilities to multi-platform, database and web service integrated projects; we have the experience and will-do attitude to turn your idea into reality. Our application(s) is an alternative to Excel spreadsheets for budgeting, forecasting, consolidation, financial reporting and analysis providing accurate calculations, real-time financial analysis and GAAP-compliant reports. Our solutions are easy-to-use, implement quickly, tightly integrate with general ledger system and offer an ROI in months. The business budgeting and forecasting is comprehensive software enabling users to budget and forecast revenue, expenses, personnel and capital assets.